The GSPCA deals with hundreds of animals every year looking for homes. Normally dogs cats and rabbits are the main species we have for rehoming. On the rare occasion we get in some larger animals and to start 2012 we have one of those times. 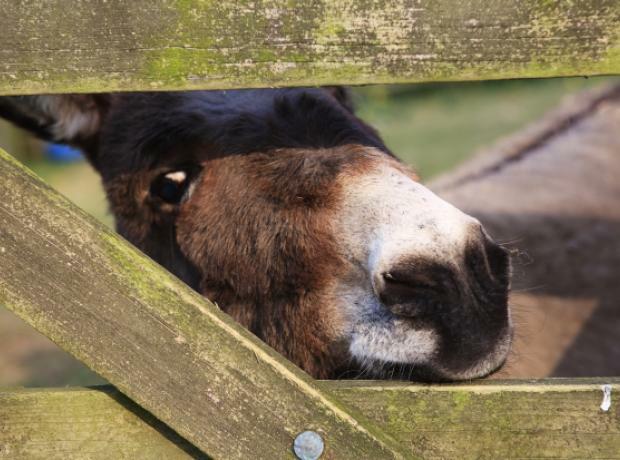 Dizzy and Naomi are two wonderful donkeys looking for a loving retirement home. They came into the Shelter as their previous owner could no longer care for them. Naomi is the quieter of the two and enjoys a simple head rub and some gentle fuss.